Our team of experienced professional enables us to offer a wide range of Tyre Couplings that are at par with international quality standards. 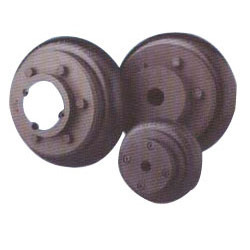 Fabricated using optimum quality raw material, our range of tyre couplings is highly acclaimed by our clients for its corrosion resistance and abrasion resistance features. Looking for Universal Joint Couplings ?